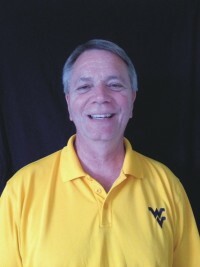 Larry See was raised in West Virginia and has remained a Mountaineer his entire life. A 1973 graduate of Hampshire High School in Romney, Larry attended Shepherd College, earning a BA in English and physical education in 1977. He returned to his native Hampshire County after graduation and taught in the public school system for the next 33 years. After retiring in 2010, he was elected to the Hampshire County Commission, serving as the Director of Parks and Recreation. He is married to the former Donna Bazzle, and they have two children. Amy, 29, is an elementary teacher in Hampshire County, and Philip, age 26, is the West Virginia University 4-H Extension Agent in Boone County, West Virginia. They also have a foster son, Carlos McCormick, who currently attends Tennessee State University in Nashville. An athlete in both high school and college, Larry coached a variety of sports on the scholastic level, most notably serving as the head basketball coach at his alma mater for 17 years. He and Donna remain active in sports and fitness. The Sees are active members in Romney First Baptist Church, where Larry serves as a Sunday School teacher and as a member of the Deacon Board.